The Capalino+Company is thrilled to be ranked as the #1 lobbying firm in New York City. This week City&State released their special issue “Top 10 Lobbyists in NYC” in which Capalino+Company leads the pack. 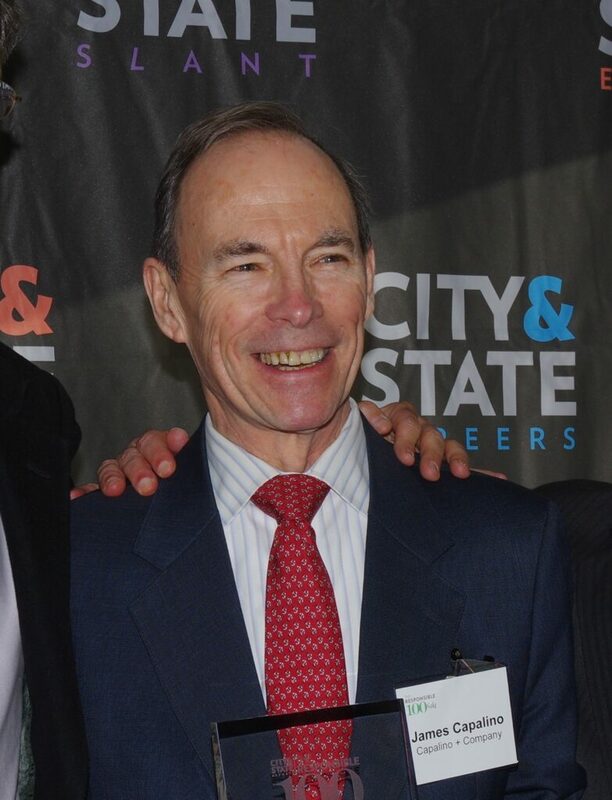 The issue features an interview with our CEO Jim Capalino on his successful career in government and politics and overseeing the top government relations firm in New York City. CITY&STATE: To what do you attribute your success? JIM CAPALINO: There are three reasons that we have achieved this level of success. Our goal, fundamentally, is to help our clients manage the risk curve. 2. In-depth knowledge and experience- Factor No. 2 is we’ve been doing this for a long time. I’m proud of the fact that when I left the Koch administration at the end of Mayor Koch’s first term, I had the goal of establishing a public relations firm that frankly was not a subsidiary of the local Democratic clubhouse. When I was in government, most of the people practicing government relations were significant Democratic Party leaders or functionaries. I saw an opportunity to take the practice of government relations out of the political clubhouse arena and to devote ourselves to attracting the caliber of people we’ve attracted with one very simple principle: There is no silver bullet. The notion that anybody in the business of public advocacy can pick up the phone and with one single telephone call solve a major problem for a client. It’s just fictional. It doesn’t work that way. Our work entails a deep understanding of a client’s objectives, a deep understanding of the public policy or aspect of the city administration that the client is working with. Our goal, fundamentally, is to help that client manage the risk curve, because pursuing business goals in New York City is a challenging business with significant financial and other risks. Our goal is to help our clients achieve those goals in a very transparent and open way, with complete and total compliance with all the lobbying rules and regulations. We’re very proud of the fact that there are there are three people in our firm who on a full-time basis engage in compliance regulatory work, because we take that very seriously. 3. Highest caliber of clients– The third thing is a lot of our success has come from the caliber of clients that we’ve attracted over the years. We are very proud of the fact that we have a group of 20 to 25 clients of the 235 or 240 clients we represent who we’ve represented for decades. We’ve sort of grown up together, frankly. 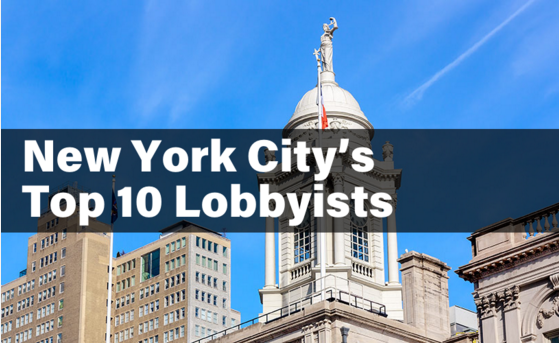 To see the full list and read interviews of City&State’s Top 10 Lobbyists in NYC, visit City & State’s website.